Have you been involved in an on-site construction accident? The loan professionals at Interstate Lawsuit Funding can work to get you the lawsuit loan cash advance you need and deserve. Construction accidents and construction site injuries usually a result of broken equipment, defective machinery, and falling construction materials. Don’t let the negligence of others keep you in a bind. Interstate Lawsuit Funding can help. Construction workers have a very dangerous job and work in hazardous conditions on a daily basis. There is always the risk of something going wrong on a construction site leading to life threatening injuries and in some cases wrongful death. It is the responsibility of the employer to keep construction sites safe for their employees. This includes: ensuring workers wear safety and protective clothing, ensuring proper safety training has been provided to all workers, and guaranteeing the implementation of safety procedures. If any of these responsibilities are not met resulting in a construction injury, the victim will most likely have a sound case for a construction accident suit. It is important to note that construction site injuries are not exclusive to construction workers. Pedestrians are in just as much danger and are exposed to some of the same risks as workers. In Virginia Beach, Virginia a construction company was investigated and cited for six safety violations after one of their employees was struck by a heavy piece of equipment causing him to die. In San Francisco, California scaffolding and part of a building collapsed onto the street, falling on parked cars near the demolition site. Are you a victim of a construction injury or construction accident due to the negligence of another person or a defective construction site tool that malfunctioned? You could be entitled to compensation under personal injury law. 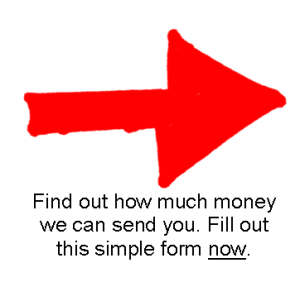 Do you need a lawsuit loan cash advance in the amount of $1,000, $2,000 or even $5,000 right now? Let Interstate Lawsuit Funding get you the litigation funding you need while your construction accident case settles. Here at Interstate Lawsuit Funding, we understand the difficulty of going through a construction accident. We know that not all cases settle quickly, and litigation funding may be the best alternative to supplement income while you wait for your final settlement. If you need to pay the rent or mortgage, a car payment, or every day expenses, apply for a pre-settlement cash advance with Interstate Lawsuit Funding. Don’t wait for insurance companies to get you the money you need. They are only working to get you the minimum settlement amount. Our professional staff will work diligently to ensure your requested lawsuit loan is expedited so you can use your cash advance as soon as possible. Once your application has been accepted and processed you will receive a certified check via postal mail. If, for some reason, your case is not won and you do not receive your final settlement, you owe nothing back to Interstate Lawsuit Funding. We only get paid when you have received your final settlement.